We compare offers from a huge list of reputable mobile phone recyclers to find the best price to trade in your old Sony Ericsson Xperia X Performance 64GB. If you find a better offer, we'll match it. That's how committed we are to helping you see the best money for your recycled device. Time to sell your Sony Ericsson Xperia X Performance 64GB & turn it into cash today! There are dozens of online tech recyclers that will offer you money for your Sony Ericsson Xperia X Performance 64GB but finding the best price can be tricky and time-consuming. That's where SellMyPhone.co.uk comes to the rescue. We compare offers from the top phone recycling sites on the web and instantly get with the best offer-guaranteed. How Do I Sell My Sony Ericsson Xperia X Performance 64GB? How Much is my Sony Ericsson Xperia X Performance 64GB Worth? Can I Sell My Broken Sony Ericsson Xperia X Performance 64GB? Why Should I Sell My Sony Ericsson Xperia X Performance 64GB with SellMyPhone.co.uk? Selling your Sony Ericsson Xperia X Performance 64GB for the best price with SellMyPhone.co.uk is as easy as 1-2-3. Enter your address & payment details (Bank Transfer or Paypal) to get paid for your Sony Ericsson Xperia X Performance 64GB. A freepost envelope will arrive (usually next day) - simply pop your phone down to the Post Office and relax. Cha-ching! As soon as your Sony Ericsson Xperia X Performance 64GB arrives you get paid. It's as simple as that. The amount of money you can earn for your Sony Ericsson Xperia X Performance 64GB depends on its storage size, its condition, and whether it's unlocked or locked to a specific mobile network. You can click on the top left to the page to specify the amount of memory your phone can hold. Devices with more memory cost you more when you bought them, so similarly will earn more from phone recyclers. You can also select the condition of your phone: whether your Sony Ericsson Xperia X Performance 64GB is new, used but working, or broken and faulty. Brand new phones will sell for the highest prices, but used and even broken devices can still earn you cash. You then tell us if it's unlocked or locked to a specific network such as EE, O2, or Vodafone. Unlocked devices will sell for slightly higher prices but locked devices are still definitely worth selling. 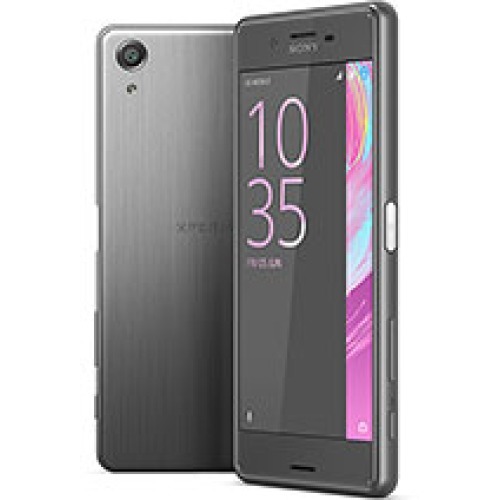 You supply the info about your device and we do the work, finding the best offers from Phone reyclers for you to sell your Sony Ericsson Xperia X Performance 64GB. Many phone recycling companies still accept broken or damaged phones and other devices. Shattered screens, dents, malfunctioning buttons-you can still earn money for your Sony Ericsson Xperia X Performance 64GB. Even if your phone won't turn on and is otherwise useless to you, it still has valuable parts that recyclers will give you money for. You simply have to specify that your Sony Ericsson Xperia X Performance 64GB is broken or damaged by clicking the button 'broken' button at the top of the page. We'll fetch you offers for phones in that condition. You'll usually get less money than if the Sony Ericsson Xperia X Performance 64GB were functioning and in perfect condition, but you'd be surprised how much cash you can get for your busted, unused device. You'll also be clearing out your drawers and stopping your broken Sony Ericsson Xperia X Performance 64GB from ending up in a landfill. Making money, reducing clutter, and protecting the environment - It's a win all around. SellMyPhone.co.uk is a phone recycling comparison site: we fetch offers from dozens of tech recycling websites and present them to you on one simple page, allowing you to find the best price for your Sony Ericsson Xperia X Performance 64GB in seconds. No one compares offers from more phone recycling companies than we do. And we're so certain that we'll find you the best price on the market for your Sony Ericsson Xperia X Performance 64GB, that if you find a higher offer elsewhere, we'll match it.